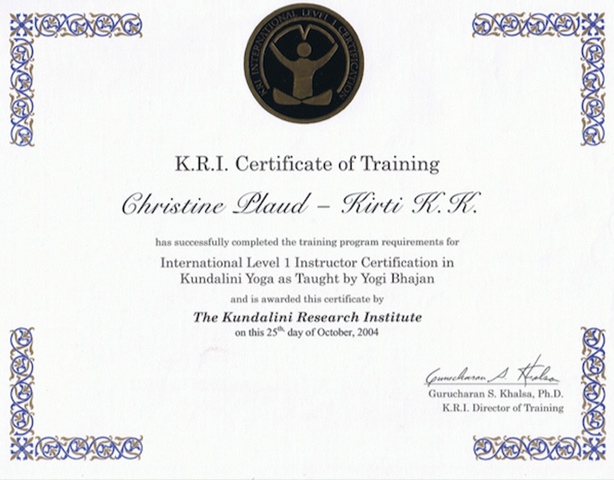 Christine Plaud is a KRI certified Kundalini Yoga teacher and Level 1 Professional Trainer on the KRI Asia KY Teacher Certification Program being involved in Singapore, Malaysia and Thailand programs. 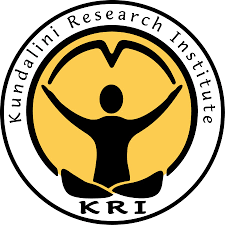 She started teaching Kundalini yoga in 2003. 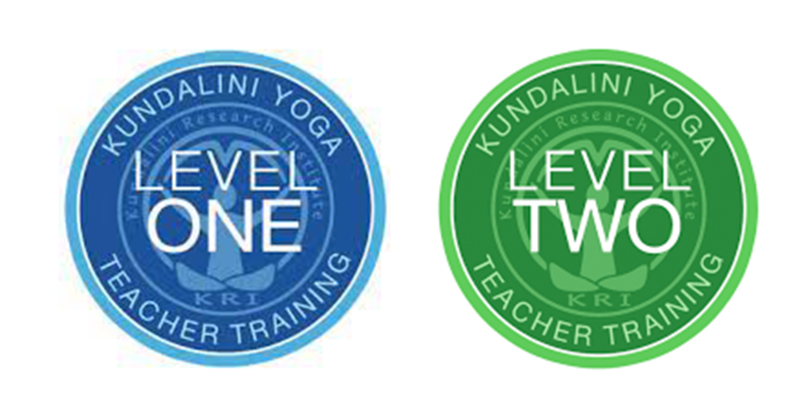 Her approach to teaching is joyful and spirited and she particularly enjoy the use of the sound current technology. 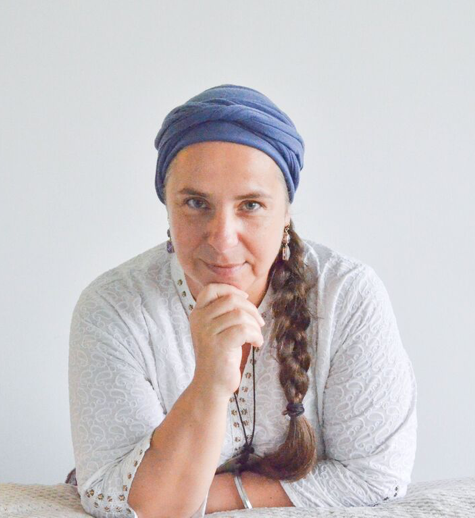 Christine is also a practitioner in a technique called The Bodytalk System as well as trained therapist in Ayurvedic, Thai, Chinese acupressure and tibetan massages. 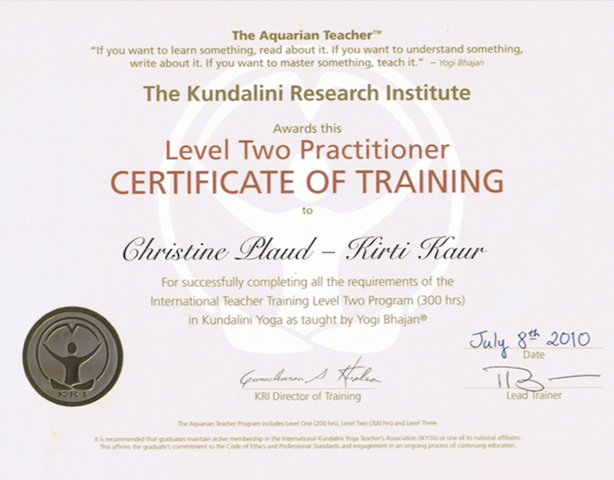 Born in France, she studied Asian civilization with Mandarin, Thai and Burmese languages at the Paris Oriental Institute. 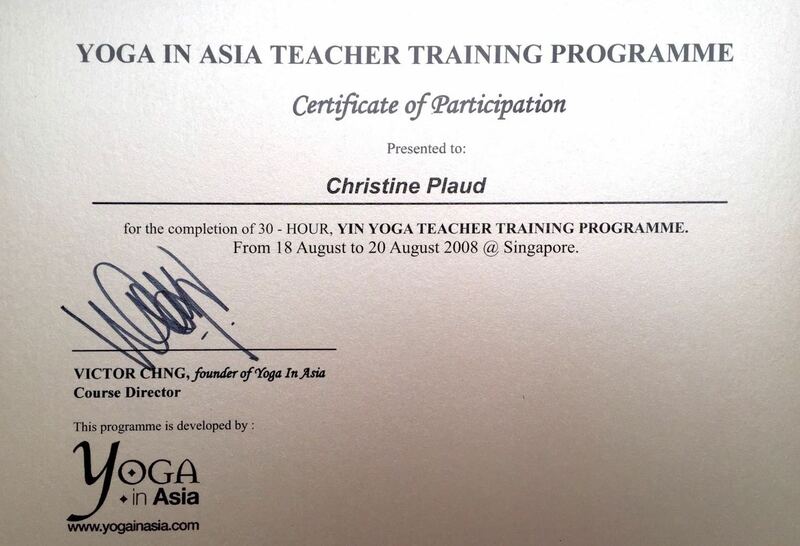 She is leaving in Asia since 1996. After 10 years in corporate world, mainly in recruitment and career management roles, she started her own company: Inner Keys, Pte Ltd in 2005. 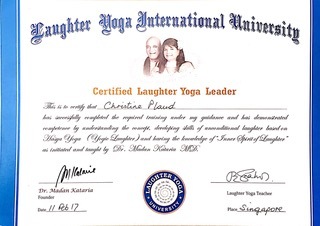 Based in Singapore, she spend part of the year on the road, mainly in France and Thailand. 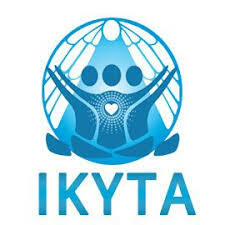 Listed in IKYTA (International Kundalini Yoga Association). 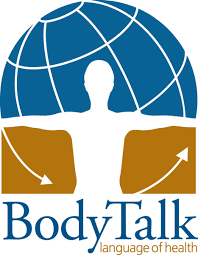 In BodyTalk Christine is Certified BodyTalk Practitioner (CBP) since 2010 which means that she followed the standard curriculum (BT Fundamentals Mod 1-2, Principles of Consciousness Mod 3, BT Bio-dynamics Mod 4(7), Lymphatic Drainage & applied A&P Mod 5, Macrocosmic BodyMind Mod 6, BodyTalk for animals Mod 8, Matrix Dynamics Mod 9) and seat for exam to become certified. 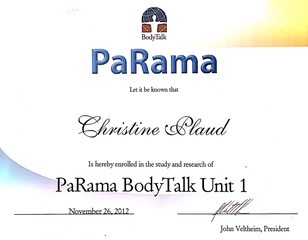 She is also a Parama BP which means that she followed the post graduate studies PaRama BodyTalk Unit 1&2, PaRama Practical. 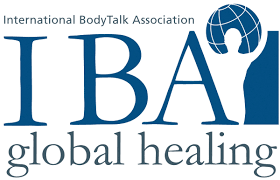 And she also followed most of the complementary modules that IBA (International BodyTalk System Association) offers such as Access, Finding Health, Mindscape and Advanced Mindscape, Eastern Medicine, Energetics, the Soul’s Journey, the Metaphysics of treating.